Just as with any residential home, all commercial buildings need sturdy roofs for protection against storms as well as the everyday elements. At Striker Roofing & Construction, we treat your business as if it were our own, guiding you through every step of the roofing process. Whether you need to fix a small leak or require a complete re-roof, Striker has the skills, materials and service for you. Our team is highly trained to inspect both the inside and outside of your property for damage. While some issues may be easily visible from the ground, like missing shingles or leaks from the inside, others may be hard to notice. If left untreated, some of these pitfalls can lead to more costly and time-consuming issues, like mold, mildew, and serious water damage. Additionally, it can be very dangerous for someone to climb the roof and perform their own inspection. That’s why we recommend hiring professionals. Why do companies all over the Dallas area trust Striker Roofing & Construction for all of their roofing needs? We have the extensive expertise from fixing restaurants to storefronts to larger complexes. And, we know it’s critical to get back to business as soon as possible after a storm. To move swiftly without compromising quality, we establish partnerships to secure materials even when supplies in a storm-hit area are limited. 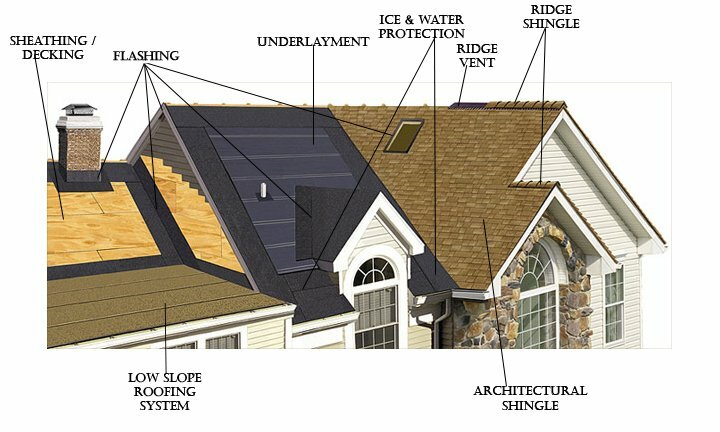 With this availability, we’re ready to fix any kind of roof with any kind of shingle. Not only will we have your business back up and running quickly, your roof will be more effective than ever. We use top-quality materials and systems that add value and further protect your property, including sheathing/decking, flashing, underlayment, ice and water protective barriers, ridge vents, ridge shingles, and other venting. Lastly, many of our industry-leading products are backed with a lifetime warranty, giving you the ultimate peace of mind for future storms. Ready to see why businesses choose Striker Roofing & Construction? Contact us for your free estimate today!